Guwahati, Feb 13 (IANS) The failure of the BJP-led NDA government to pass the contentious Citizenship (Amendment) Bill 2016 in the Rajya Sabha on Wednesday brought cheers to most protesting organisations in Assam, but the ruling BJP termed it a "defeat" for the state. The All Assam Students' Union (AASU), Citizens' Forum, Asom Jatiyatabadi Yuva Chatra Parishad (AJYCP), Krishak Mukti Sangram Samiti (KMSS) and parties such as the Congress and Asom Gana Prishad (AGP) celebrated the development. "We condemn the BJP government for failing to ascertain the sentiments of the people of the region," he said. The students' body also celebrated the victory by signing songs and distributing sweets to its members and passersby in front of the AASU headquarters in the state capital. 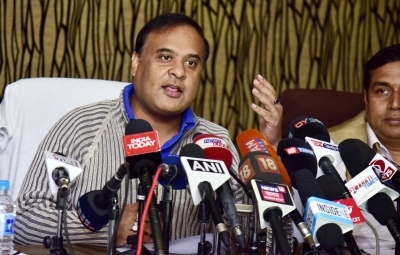 However, state Health and Finance Minister Himanta Biswa Sarmathe described the development as a "defeat for Assam." "It is a defeat for Assam. My party and I extended full support to the Bill. We do not have a majority in the Rajya Sabha, so the Bill could not be passed. Bangladeshi Muslims will now occupy 17 constituencies of lower and central Assam. The people of Assam will lose their culture and language," Sarma said. The Congress in Assam also rejoiced at the Modi government's failure to push through the contentious Bill in the Rajya Sabha and said the party has yet again foiled an attempt by the communal forces to convert secular India into a fundamentalist nation.